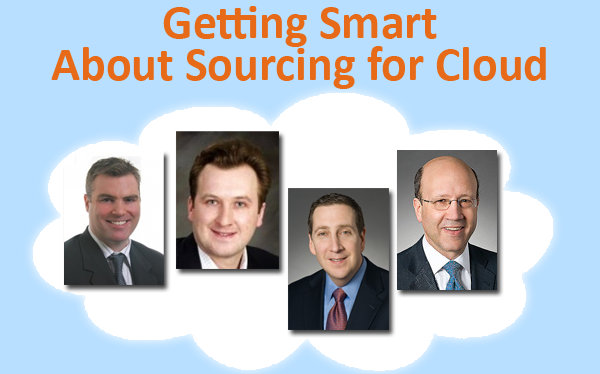 Want to get smart about sourcing for Cloud? We just released a brand new report entitled “Getting Smart About Sourcing for Cloud”. Simply-put, we kinda got the impression that no-one had written a concise document that outlines what on earth is Cloud Computing, why we should care, what hundreds of IT and business leaders think about its impact, what the service providers are developing and offering in the space, and - once you know all that - how you need to think about contracting and executing for it. So we called up some legal-eagles who are knee-deep in this stuff at Loeb & Loeb, and co-wrote this lovely little report for the benefit of the entire sourcing industry - whether you have interest in buying, advising or servicing Cloud services, this really is a must read for you! Ditto Hugh's comment. A great report - and a great service sharing this level of research and data with everyone. HFS is a refreshing change for the analysts!